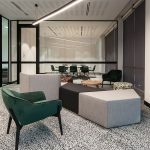 IA Design was engaged by LWP Property Group Pty Ltd (LWP) to design and deliver their new fit out within 1060 Hay street. IA Design had previously designed and delivered a show suite within level 3 and were able to provide intimate knowledge of this building through expert knowledge, reducing costs to a minimum as a result. IA Design worked closely with LWP and were required to design in-line with the LWP Property Group Office Needs Analysis. The design team incorporated raw materials that would support LWP’s corporate identity, representing them as a modern company in-line with their current work in new property developments. LWP consolidated from two floors into one and IA Design provided staff and clients with an open, fresh and welcoming environment that has improved productivity and cooperation within the office, enhancing staff morale. 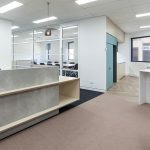 Since the completion of the new LWP office IA Design has received positive feedback from staff that this new fresh environment has provided staff with a healthy work environment that has stimulated improved efficiency.